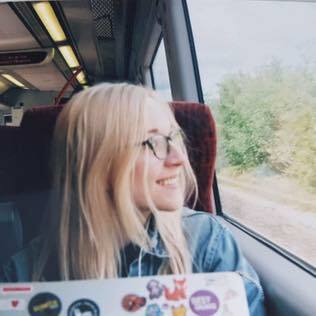 A local group of like-minded musicians and creatives have come together to support a Wolverhampton recording studio that was destroyed in a fire. Die Das Der, a collective who release music and organise Midlands gigs and events are supporting the Black Country Recording Studio through a limited run of live compilations featuring local artists including Wax Futures, The Double Happy, A Pig Called Eggs, Ghosts of Dead Airplanes and Fauxchisels. Die Das Der always planned to release material recorded at Black Country Recording Studio. However in late November of 2018 the studio, including the recordings, were lost overnight in a fire. Luckily, a root through recording studio owner Jimm Zorn’s cloud drive found some early demos and mixes from almost all the artists on the compilation. And so comes the fruition of ‘Black Country Afternoon Delights #1’, a compilation that not only proves what the Midlands garage and punk scene has to offer, but play a part in raising funds to help restore the studio and to support Jimm in the same way he’s supported these artists over the year and a half they’ve been working together. To celebrate its release Die Das Der are hosting a benefit gig on Saturday, February 9th at Digbeth’s Muthers Studio. 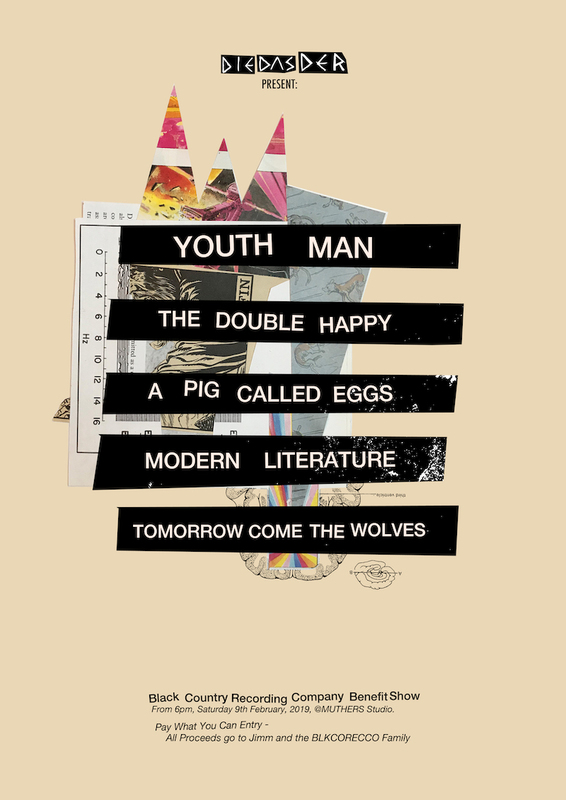 Artists who starred on the compilation The Double Happy and A Pig Called Eggs play alongside Modern Literature and Tomorrow Come The Wolves. Meanwhile power punk-pop duo Youth Man headline the pay-as-you-feel event where 100% of the profits will go to Jimm’s cause. 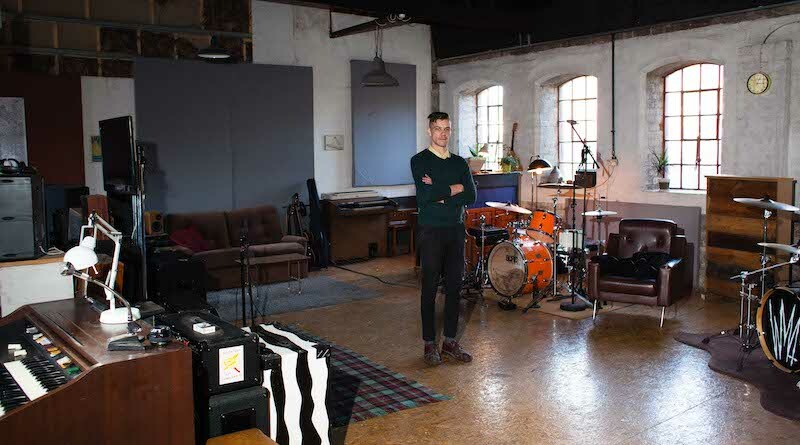 Black Country Recording Studio was an idiosyncratic studio, rehearsal room, instrument reparation and creative space hidden in the brutalist manufacturing hubs of Wolverhampton. Built, renovated and ran by Jimm Zorn since 2016. When the studio was burnt down, Jimm lost not only his work, but instruments, recording equipment and yet to be released material from artists who relied on the space. Because of Jimm’s close relation not only to the bands, but to Die Das Der, several fundraising projects are in the works for 2019. ‘Black Country Afternoon Delights’ is available in both physical and download form now. Die Das Der have also released volume one of Singles Club, which can be purchased here, whilst more volumes of singles club are due to be released soon. Donations are welcomed at the Black Country Recording Co. benefit on February 9th, more information on the event can be found here.